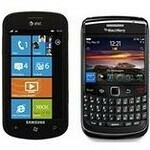 Ben Rudolph from the Windows Phone team has tweeted that he has 25 handsets to give away if you are a BlackBerry user and want to switch mobile operating systems after the service outage fiasco in the last few days. That thought has no doubt passed through the minds of many a RIM customer these days, when they tried to send emails only to see them bouncing back, or your BBM messages not going through. Wall Street investment bankers were particularly vocal about the issue, as the vast majority of these companies are equipped with BlackBerries. Too bad that it's not the right time to feel sorry for investment bankers and their ilk. RIM already deeply apologized for the mishap and has started to gradually restore its services, which were due to a core switch failing and the backup system not firing up, at least that was the official explanation. Exactly who WP needs to be shooting for- Blackberry owners. If they can get RIM users to try them, and maybe some of the lower end Android users, they can really improve their sales.